Easily one of the very best four-speed transmissions ever built; the SM465. Our Muncie 465 is professionally and meticulously rebuilt. We use the best components, including bearings, synchronizers, bushings, seals and gaskets built by our SM465 specialist and expert. Any available updates and improvements are performed. A new, unbent transmission shifter cane is included and ready for the installer to bend to the particular application and driver's preference (if you wish you use your factory stick, let us know and we'll apply a discount). 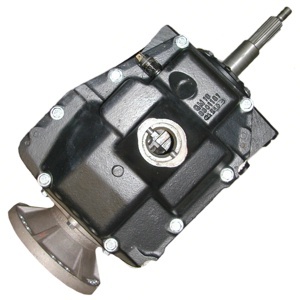 Our factory style builds are OEM style replacement transmissions that may require the use of the vehicle owner's original tailhousing (either 2wd or 4wd) to complete the installation. Adapted builds are designed primarily for installation into Jeep vehicles and include the installed aftermarket Novak mainshaft, adapter kit, rear mount, and pilot bushing as indicated for the customer's scenario. An example of a Novak adapter, installed and ready. 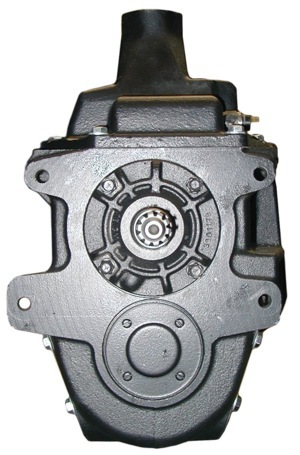 We can also do a full rebuild of your Jeep transfer case if you would like to ship it to us. We can provide any upgrade components for it that you wish. It will be pre-installed to the transmission and ready to lift into your Jeep. We can often source a bellhousing or use your particular GM or AMC bellhousing as required. Conversions to AMC bellhousings will include necessary machining for Crank Position Sensors (CPS), face pockets (if necessary) and the bellhousing rear face bolt pattern. The pilot bushing is included as specified. Your transmission package is palleted, wrapped, fully insured and ready to bolt into your application. Novak will seek the best competitive shipping rates with our extensive trucking networks. It will arrive at a location of your choosing, though we strongly recommend a business location with a dock / forklift for delivery, as residential and liftgate fees can add up to an extra $100. per delivery. SM465 factory style build: $1340. SM465 with a Novak adapter assembly, to GM engines, pilot bushing, a new straight shifter stick and urethane mount: $1780. SM465 with a Novak adapter assembly, to AMC engines, including special front retainer and pilot bushing, a new straight shifter stick and urethane mount: $1870. Because of the many variations involved, we encourage you to contact us directly by phone or e-mail. 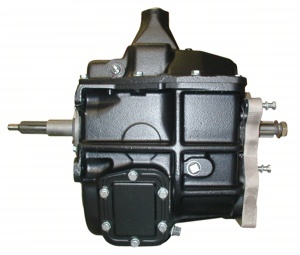 We will help you put together your transmission to best fit your requirements.